Apologies to Bill Bryson for completely bastardizing his wonderful book title, but it stuck in my head and I couldn’t clear it for love nor chocolate. I hope you’re sitting comfortably… this is gonna be a long one! 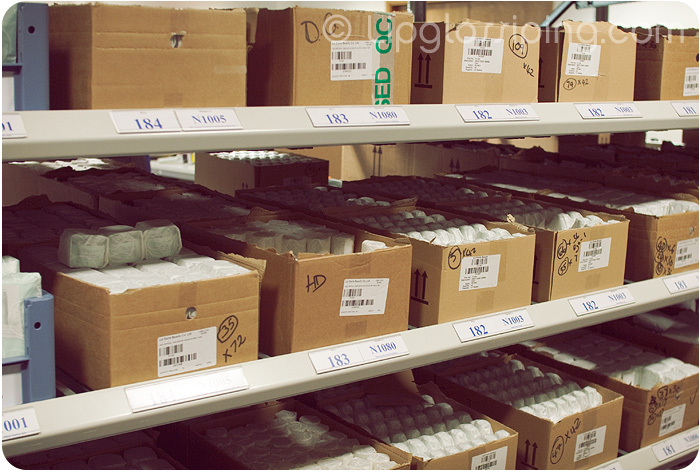 Last Thursday, I had the pleasure of visiting the Liz Earle Naturally Active Skincare HQ on the Isle of Wight. The island is a stones throw from where I live in Hampshire… but I’ve only ever visited once before, and that was for a work trip that started at 9pm and finished at 6am. I didn’t even get to see daybreak! So, to say that I was excited at the prospect of revisiting is a bit of an understatement. 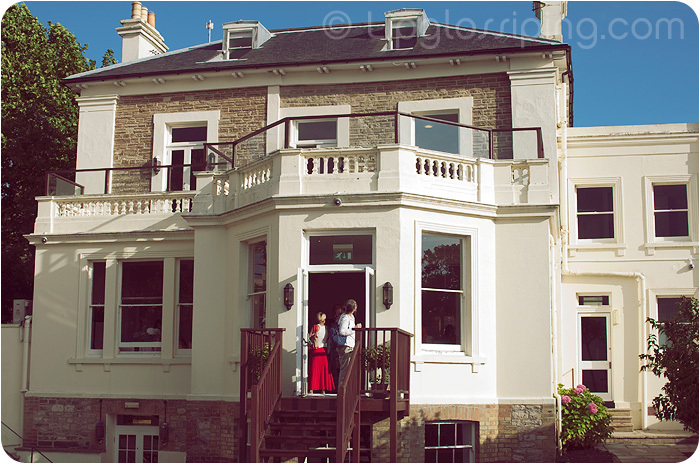 Stepping off the catamaran and onto Ryde pier was like stepping back in time. Literally! The trains they use to transfer passengers between the ferry landing point and the esplanade are 1980’s London Tube stock, complete with original upholstery. Thankfully, the Liz Earle HQ is a little more modern! Nicknamed “The Greenhouse” because of it’s ECO credentials, the building is heated and cooled thanks to some nifty geothermal technology and the loos are flushed with rainwater harvested from the roof! The company even boasts a Green Team whose role is to oversee and brainstorm as many avenues as possible to ensure that Liz Earle as a company are leaving the lightest ecological footprints possible. Our first stop was the Fulfilment Centre which takes up a huge area on the ground floor of the building. 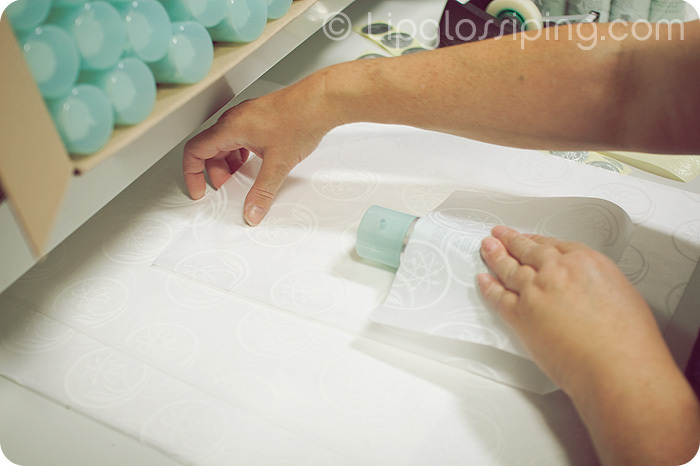 This department alone employs over 130 people who handwrap each and every order that comes in. There wasn’t a computerised ‘wrapping’ machine in sight! I was keeping a very close eye on how those cylindrical bottles of Cleanse and Polish were being wrapped, but hands were moving far too quickly for my brain to process the steps! 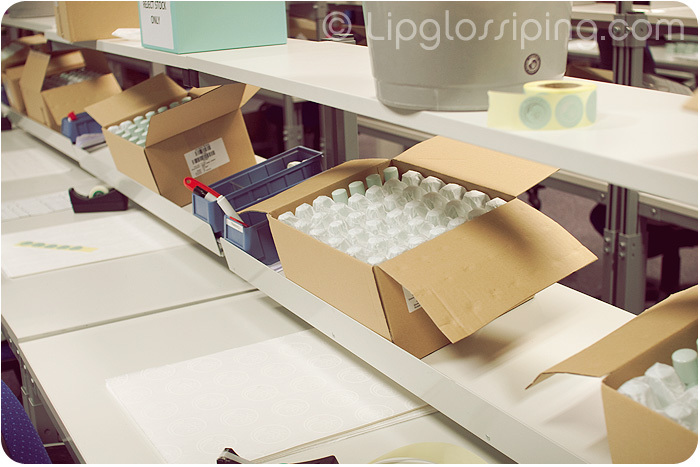 The packaging and picking process is closely monitored at each stage so that any subsequent problems can be traced back to the source and addressed. We were shown how similar-looking products can occasionally be confused by the picker if they’re placed too close to one another on the shelves. With thousands of orders leaving the department each week, the fulfilment centre need to keep ontop of things and provide instant solutions to potential problems. 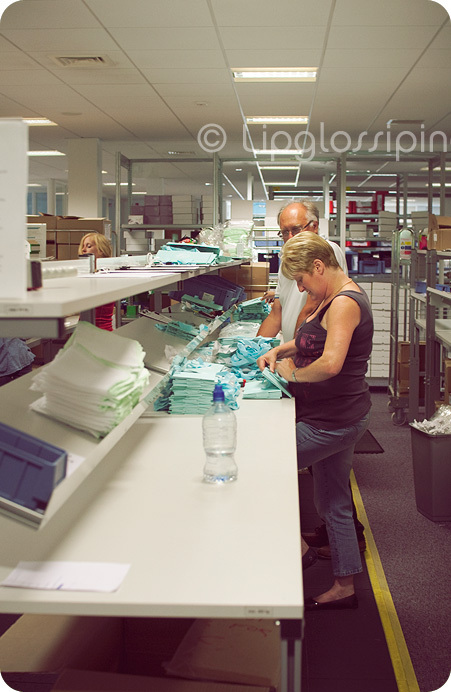 A picker completing the orders that were still flooding in just minutes before home time! All the neatly wrapped products ready for picking and dispatch… I don’t know about you… but I’d struggle to tell them apart! 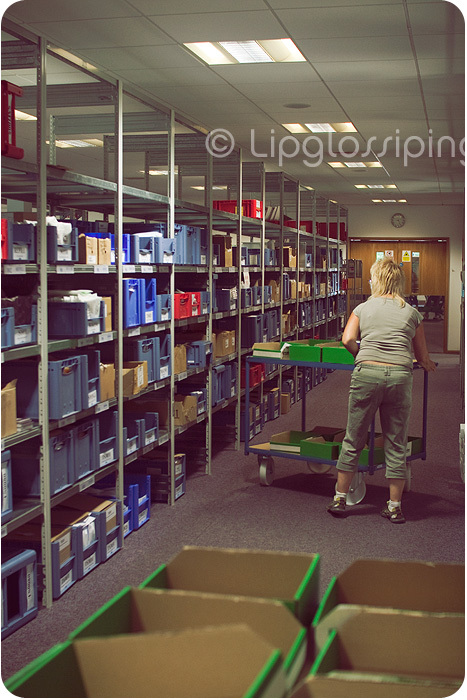 The staff in the fulfilment centre are frequently rotated to different stations and given different tasks to avoid common ‘factory’ problems such as R.S.I. – the atmosphere was jovial, though I think the sight of a bunch of (slightly-in-awe) bloggers taking such interest in their wrapping skills was the source of much amusement! 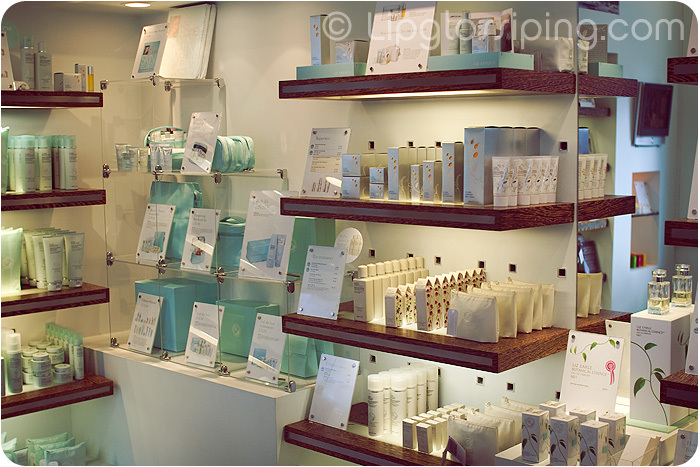 We followed up with a visit to the island store (spot for many a pilgrimage for die-hard Liz Earle fans!). Union on Union Street in Ryde is a teeny tiny boutique store. Barely bigger than my guest bedroom, but an absolute haven amongst the bustle of the other high street shops. Despite it’s bijou appearance, they’ve paid clear attention to detail and design. There’s a little station for hand and arm massages (as shown above) and an area complete with sink where customers can get a feel for the products they’re contemplating. The well stocked shelves are inviting with all products displayed clearly. 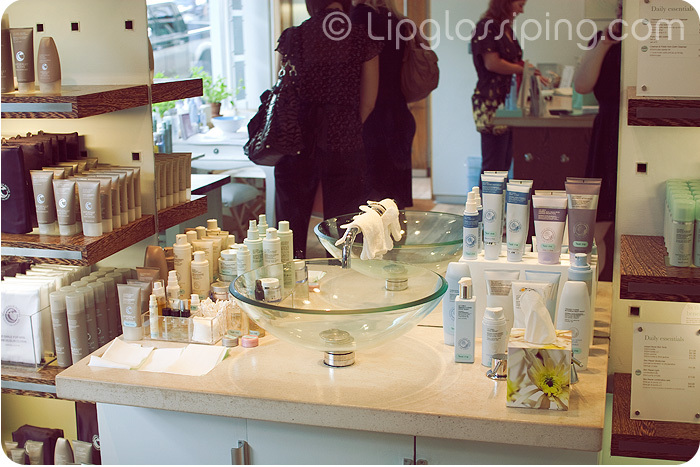 A place to try the products… something more skincare companies should implement in their stores. I could have spent a couple of hours in there, but our itinerary was busy and we were whisked back to The Greenhouse to continue on our ‘backstage’ tour! Next stop was the 1st floor where we were able to say a quick hello to Jennifer Hirsch. Surely, one of the most influential women at The Greenhouse… Jennifer is Liz Earle’s Botanical Research Manager responsible for researching the best quality botanical ingredients and working closely with the Product Development team to ensure that those ingredients end up in our products! Fresh back from a research trip to Switzerland, alpine plants seem to be the flavour of the month with the Product Development lot! 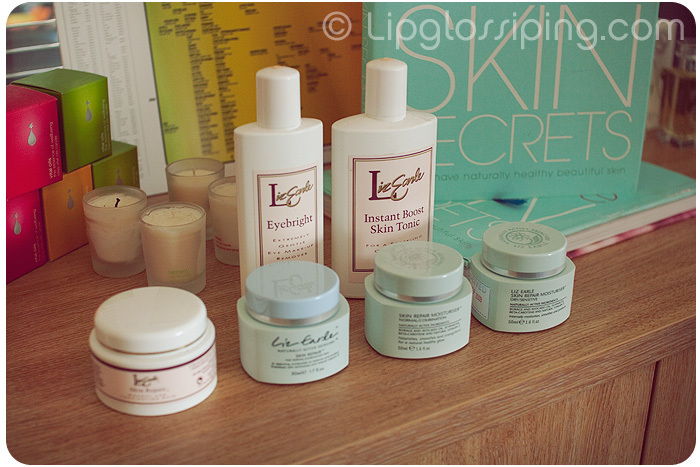 I was also interested to learn from the PD team that Liz Earle rarely discontinue products. Which means that they have to be cautious and careful to ensure they only create products that will enjoy a long term position within the product family. Infact, the only product ever discontinued was a popular self-tanner that they decided to withdraw once legislation demanded one of the ingredients be animal tested. Rather than comply and deviate from their ethical policies and commitment to no animal testing, they withdrew the product without delay. The ongoing theme within the company, apparent every step of the way is their attention to detail. It’s a meticulousness that transcends the everyday and culminates with the factoid that EVERYTHING is approved by joint founder Kim Buckland before being signed off. From product placement through to signage, nothing gets the go ahead without being given the once over by the co-founder. It’s a tight ship, but one that seems to be paying dividends. 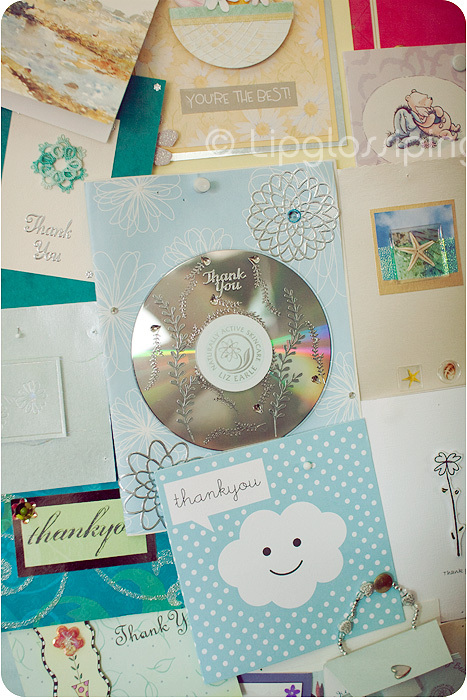 A couple of the “thank you” cards on display in the Customer Centre which handles calls from all over the world and employs a crew of women who work late into the night to accommodate phonecalls from the U.S. and Canada. 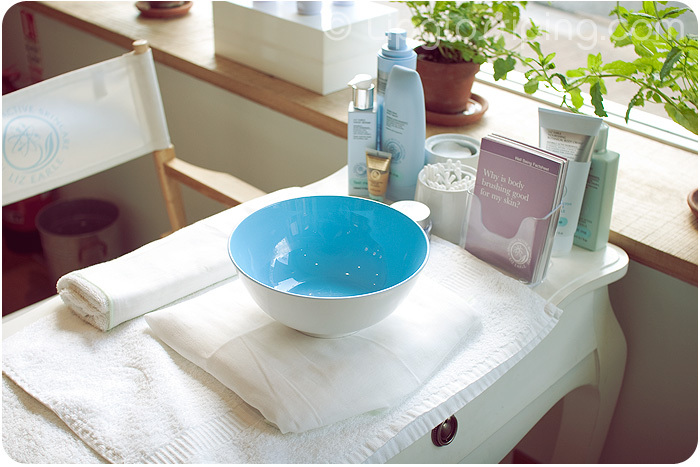 The call centre staff are trained to offer general advice on skincare, botanical ingredients knowledge, product information, details about the Liz Earle philosophy and have even been known to impart a little local tourist advice to customers keen to make the pilgrimage! One of the curios in the Customer Centre! How dreadful is that old packaging?! And it’s only from the late 90s… The turquoise is a slight improvement no?! It was time to meet the brand’s namesake at the Cleanse & Polish 15th Anniversary customer event! The view from Biskra Beach House is pretty stunning. You can see where the inspiration for the turquoise colour scheme came from! The Beach House was the original setting for the company’s rise to success. They only left these HQs for the purpose built Greenhouse a couple of years ago and the staff who have been there long enough to have worked at both locations had nothing but fond memories of working in such a beautiful setting. The location quickly filled with locals who had been selected from the customer database and invited to come along and join in the celebrations. The mood was uplifting and it was hard to suppress a smile at the good humour and banter that could be heard throughout the house and garden. The average age of attendee was definitely toward the more mature end of the scale, which is probably a fair reflection of the brand’s supporters. It was good to see a true representation… not the trendiest bunch of party goers, but definitely some of the most friendly! 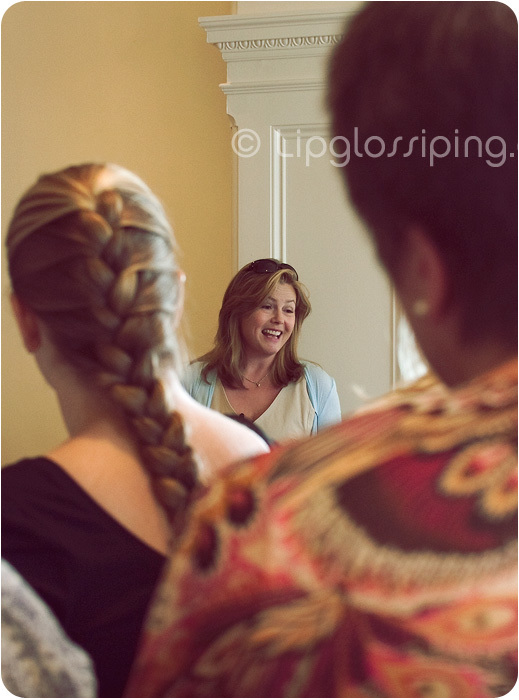 There was an audible gasp and a crack of excitement in the air when Liz arrived to address the waiting guests. She spoke informally for a while, thanking her guests and sharing some anecdotes from the brand’s past before making herself available to sign books and chat on a one to one basis. We were led to an upstairs lounge to meet Liz who despite the hustle and bustle downstairs had put aside a surprising amount of time to chat with the three of us about her brand, it’s history and future visions. She didn’t shy away from questions… and was happy to explain the brand’s decisions to use paraben preservatives and synthetic sandalwood oils. We also discussed the recent partnership with Avon. Liz was quick to assert that Avon would be indispensable in their quest to move the brand into wider global markets (China was mentioned) and that Liz Earle Naturally Active Skincare needed a partner with the knowledge and infrastructure that would allow such a transition. Liz is a woman who’s fiercely protective of the brand she’s helped to create. She (more than anyone) recognises that it’s this previously mentioned attention to detail, commitment to customer service and the island from which the brand was born, independent attitude and ethical philosophies that are the foundations to their success. These things aren’t about to change for anyone, no matter how deep their pockets. Yano, they run a real tight ship… when I realised just HOW tight, I was waiting for an oppressive atmosphere.. but there isn’t one. I’m amazed that actual human beings pack the products, I always assumed that machines would do the papery wrapping and that humans would put the orders together. 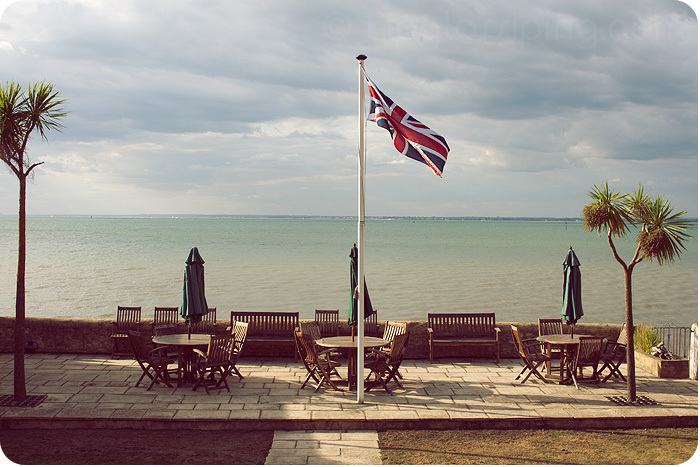 fab post, I went to the Isle Of Wight with my school and loved it! I love Liz Earle as a company, their PR are amazing and really CARE about your skin rather then just wanting to ram roducts down your throat. Yep! They still don’t have a replacement for it! I think it’s the DHA that now needs to be animal tested. Don’t quote me on that though! She was… I was nervous to meet her to be honest. I sat down and had that awful realisation that I didn’t have a clue what to ask her! Wow, what a wonderful review/overview of the brand! This honestly looks awesome, and I’m completely interested in learning more from the brand now. I love how dedicated they are to not conducting animal testing, and to have good ingredients. Its great to see a company that truly cares for the environment and its customers. Thanks so much for this post! I need to explore more of the island now! What’s your favourite part? Wouldn’t it be great if they had more freestanding stores? Thanks for this in-depth look at the brand! Are there any products you’d strongly recommend other than the Cleanse & Polish? I have to say, I read Notes from a Small Island and it only deepened my devout Anglophilia. His other books are great as well! Have you read the one about Australia? Cleanse & Polish really isn’t one of my favourites. I love how universally friendly it is… but I find it quite hard work to massage onto my skin unless I use about 7 pumps. I think I’m far too used to runny oils. Gorgeous photos! I feel chilled out just from looking at them! That old packaging is hilarious. I cannot believe that’s only from the late 90’s!! Liz Earle got a lot of stick for partnering with Avon – I read the comments on her blog ages ago. But I think it’s a great move if it helps her distribute the brand further across the globe. I always hear from people from the US who really want to try Liz Earle products but are charged huge shipping costs to order from the UK.